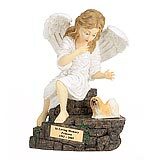 "I just received my Angel Ashes Original Edition and it is the most beautiful thing I have ever seen. 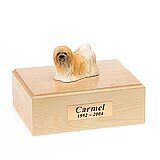 I cried when I received it and opened the box. 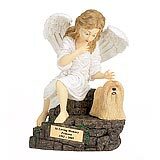 I was able to put some of Brandys favorite things in it along with her ashes and can now take comfort in knowing that she is at peace and in the arms of her angel looking over me. 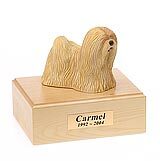 Thanks to you and Brad for creating such a beautiful memorial urn." 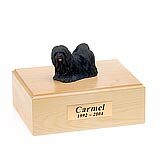 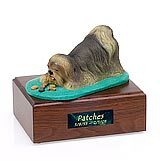 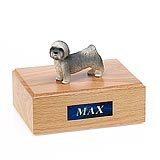 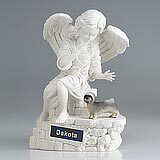 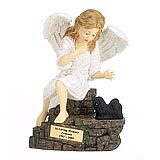 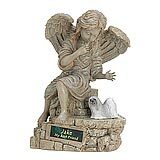 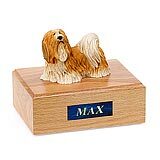 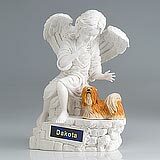 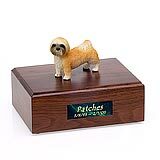 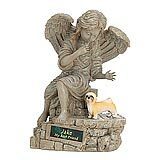 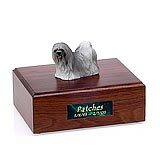 All available Lhasa Apso dog urns and memorials will be displayed with the figurine on the Lhasa Apso urn you select and in the appropriate size.